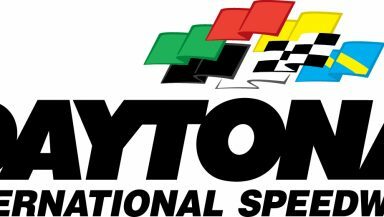 DAYTONA BEACH, Fla. (Nov. 20, 2018) – Whether it’s stock cars, sports cars or motorcycles, those looking to give the gift of Daytona International Speedway this holiday season will find plenty of options with the “World Center of Racing’s” annual Black Friday and Cyber Monday ticket specials. Rolex 24 At DAYTONA: General admission frontstretch seating and infield access for the 57th anniversary of North America’s most prestigious sports car race on Jan. 26-27 with a Rolex 24 event hat and garage access on Sunday, a savings of 33 percent. Advance Auto Parts Clash/DAYTONA 500 Qualifying Presented By Kroger: General admission frontstretch seating and infield access for the Sunday, Feb. 10 Monster Energy NASCAR Cup Series doubleheader with UNOH Fanzone/Pre-Race access, a savings of 33 percent. Duel At DAYTONA: General admission frontstretch seating ticket and UNOH Fanzone/Pre-Race access for the 150-mile qualifying races on Thursday night, Feb. 14, a savings of 43 percent. NextEra Energy 250: General admission frontstretch seating ticket and UNOH Fanzone/Pre-Race access for the NASCAR Gander Outdoors Truck Series race on Friday night, Feb. 15, a savings of 29 percent. DAYTONA 300: General admission frontstretch seating ticket and UNOH Fanzone/Pre-Race access for the NASCAR Xfinity Series season-opener on Saturday, Feb. 16, a savings of 43 percent. Kids 12 and under are FREE in general admission frontstretch seating and UNOH Fanzone for the above DAYTONA Speedweeks Presented By AdventHealth events. DAYTONA Supercross: General admission ticket and Trackside Access, which gets you closer to the action than anywhere else on the circuit, can be purchased for $45 – a savings of 31 percent. The only Supercross event in Florida takes place Saturday, March 9. Coke Zero Sugar 400: Reserved ticket and a FanVision for $110, a savings of 25 percent, for the July 6 Monster Energy NASCAR Cup Series event. Coca-Cola Firecracker 250: General admission and UNOH Fanzone for $50, a savings of 29 percent, for the July 5 NASCAR Xfinity Series event. To take advantage of the Black Friday and Cyber Monday ticket specials, call 1-800-PITSHOP 9 a.m.-5 p.m. ET or visit www.daytonainternationalspeedway.com/deals. Fans can stay connected with Daytona International Speedway on Twitter, Facebook, Instagram, Pinterest, YouTube and Snapchat, and by downloading Daytona International Speedway’s mobile app, for the latest Speedway news throughout the season.